Luke Frasier, grandson of Downs, KS, Postmaster Wanda Frasier, recently visited the Post Office in Hastings, NE, with his dad. After his father finished with his stamp purchase, Luke told the retail associate that he wanted to hug the Post Office. The retail associate giggled in response and wished the father and son well. When they left the Post Office, Luke’s father granted him permission to hug the Post Office. In many parts of the world, 3D printing technology is expanding rapidly. From large businesses to libraries, the popular machines are increasing in popularity for their versatility and convenience. Royal Mail recently introduced a version of the handy printers to its customers, but the Post is not alone. Another Postal Service also introduced the technology within a handful of its modern stores, and demand has thus far been encouraging. 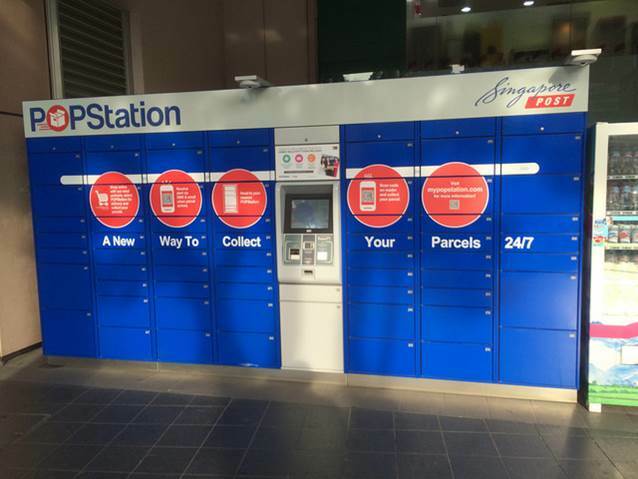 SingPost, Singapore’s Post Office, has modified a number of its retail facilities to integrate enhanced technological capabilities to appeal to the diverse needs of its customer base. Besides offering conveniently located parcel lockers and terminals with services similar to a USPS self-service kiosk such as label and stamp printing, customer can peruse available stamps and other products at stations equipped with tablet devices. They can also print small, 3D objects. The new printers aren’t capable of printing everything a customer might desire, but expanded options are a possibility in the future. For now, the devices can replicate figurines and small accessories such as pendants. Customers can also have their faces scanned to customize the figurines before purchase. SingPost intends to adapt more of its offices to the 24/7 auto-lobby concept going forward. The move will help provide convenient access to many services offered by the Post at a time that’s convenient for customers. I enjoyed the Steinauer Heritage House article this past Tuesday and I wanted to share with you a few of the photographs I received from the inside. I hope you enjoy them as much as I did. Joann Lutcavich and Erma Gyhra cutting the ribbon for the dedication of the Steinauer Community Heritage House. The small town of Steinauer, NE, is home to 75 close-knit community members who value the rich heritage of their historic territory. Named after three brothers from Switzerland who founded the town in 1856, the population has dwindled some since its peak of 248 residents in 1910, but the legacy of the Steinauer family remains as strong as ever. Last month, the Steinauer family converged on their namesake town from as far away as Peru for a family reunion. 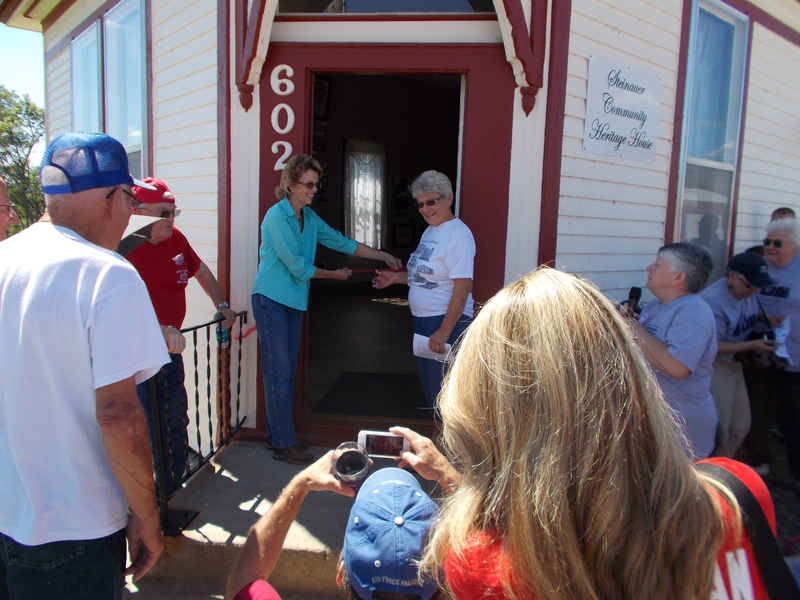 One of the main events held during the gathering was the re-dedication of the former Post Office into a community museum called the Steinauer Community Heritage House. 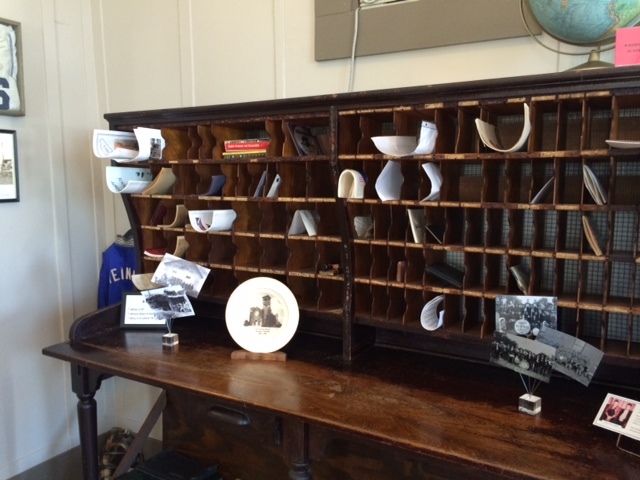 The conversion of the Post Office into a museum was a community-involved effort, with many members contributing special items to the cause. The gathering at the re-dedication ceremony brought back fond memories of it’s past. 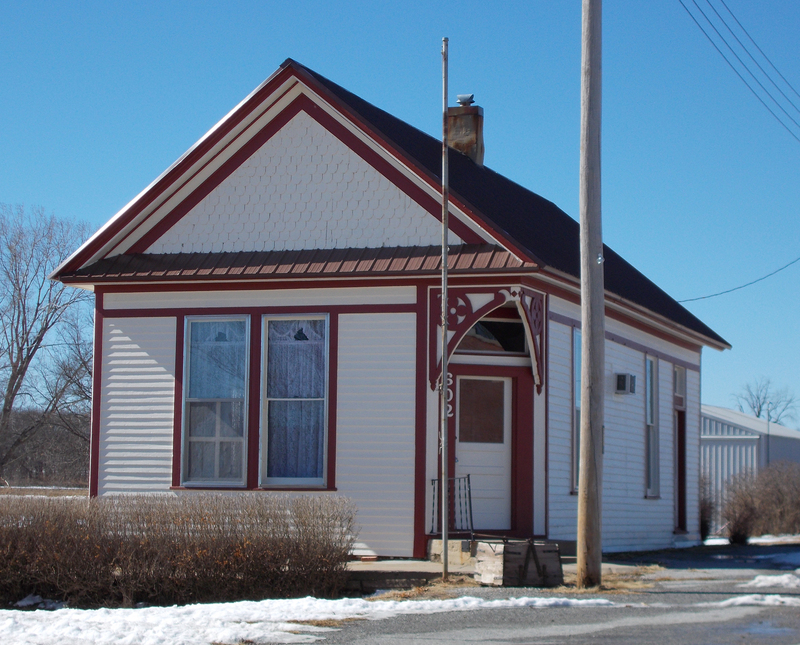 The 792 square-foot building, built in 1874, served as the Post Office for nearly 120 years. In honor of its service to the town, two Steinauer brothers purchased the property and renovated the building. It’s transition into a community museum involved careful planning and the support of the local community. 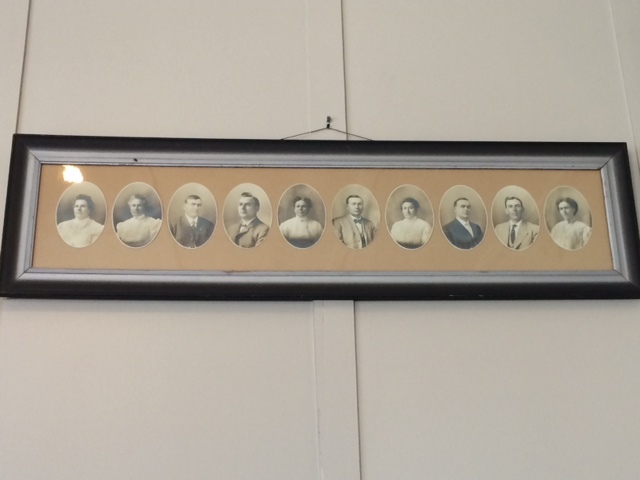 Terry’s great, great grandfather, Joseph Steinauer, was one of the original founders of the town. He also became the first Postmaster in 1874. In addition to serving as a Post Office, the building simultaneously served as the town’s first bank and printing press. Eventually, the bank moved to a separate building and the press ceased operation, leaving the Post Office as the sole business occupant for more than a century. 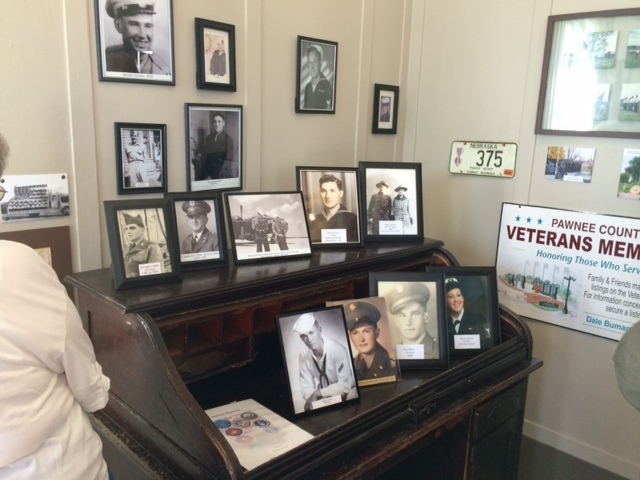 The Steinauer Community Heritage House is home to postal memorabilia, a memorial to the community’s veterans, and a variety of photographs, documents and other items that chronicle the rich history of the town and the Post Office. 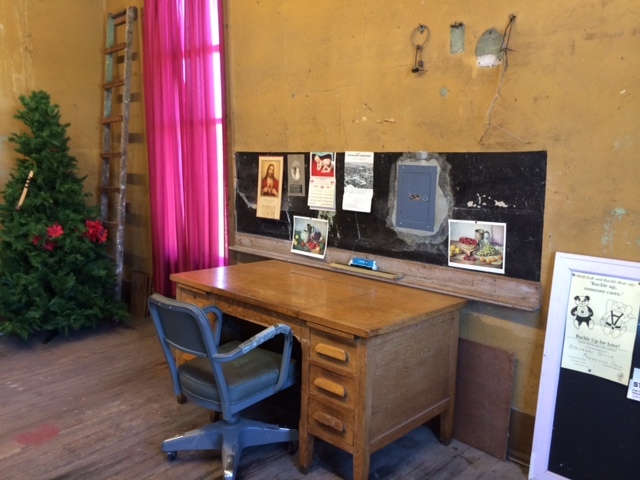 The unique collection of items housed inside the fully restored building will provide the opportunity for members of the community to relive and rediscover the heritage of the town for many generations to come. 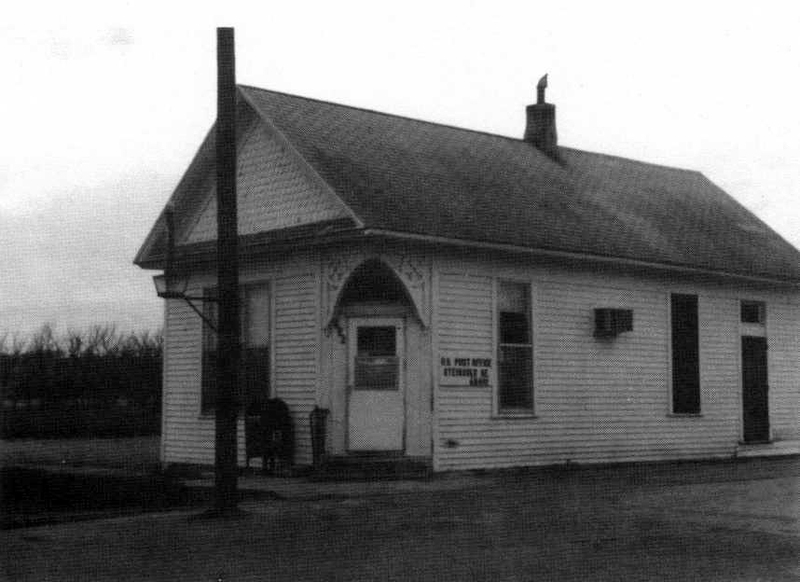 An image of the Steinauer Post Office many decades ago. The Steinauer Post Office as it appears today. The Blodgett Country Store is home to a variety of food and beverage items that satisfies the interests of the local community. A special feature at this particular business provides shoppers with a service most other stores don’t offer – access to an in-store Post Office. 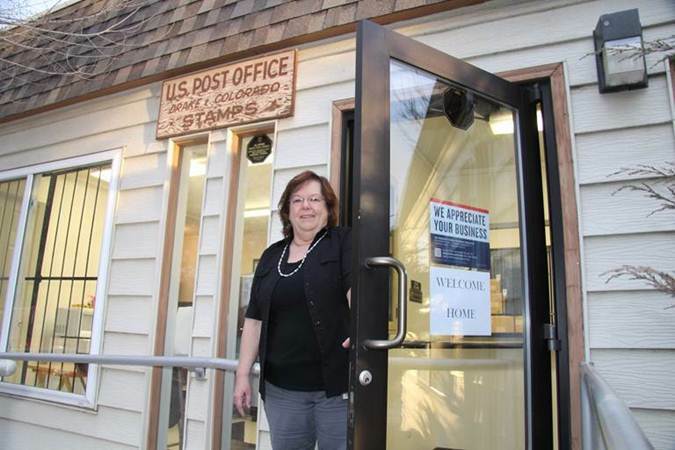 Blodgett, OR, Postmaster Nan Sumners has worked at this particular location nestled within a small corner of the store for 23 years, the last 13 in her current position. She enjoys spending time with the people of Blodgett, which made her decision to retire tomorrow a more difficult one. “I love working so close to home, and I enjoy the people,” Sumners said. Her sentiment toward the local community is a mutual one and reflected in a profile of her in the Corvallis Gazette-Times on the eve of her retirement. Sumners didn’t start her employment at the Country Store with the Postal Service, but rather at the store itself. Shortly thereafter, the former Postmaster and store owner recognized Sumners’ dedication to her work and asked her to become a relief worker for the Post Office in 1991. When a full-time employee left to pursue other interests 10 years later, Sumners took over the position. 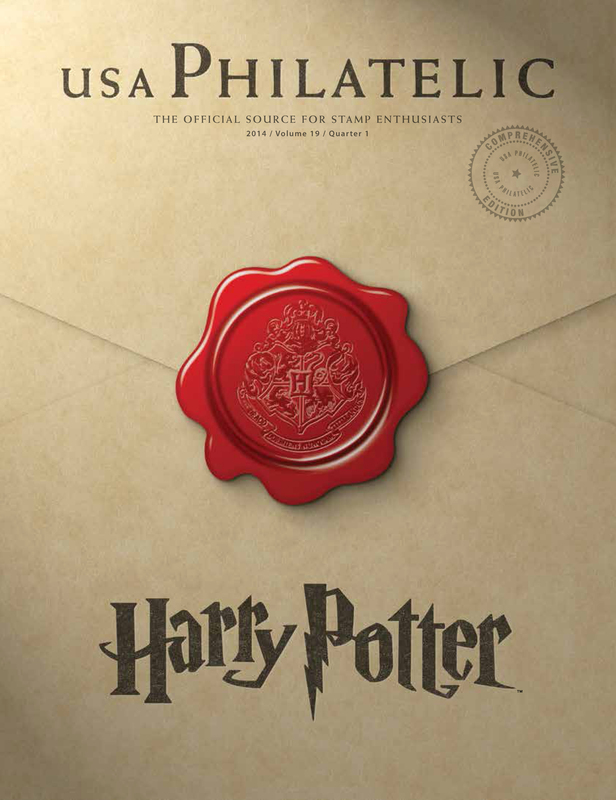 In 2001, when the Postmaster position became available, she gladly accepted the opportunity to take over the role. While many changes have occurred since Sumners first began her employment at the Postal Service, the biggest change she witnessed has been the evolution of technology. “Thirteen years ago, the books were done manually, and we didn’t use the credit card machine,” said Sumners. 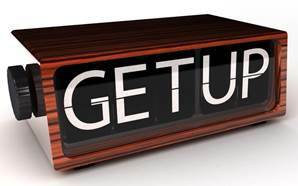 Sumners doesn’t have any major plans for her post-working life, but she does intend to switch off the alarm and sleep in for a change. Desks under which two Pilger Post Office employees took shelter during the tornado. Postal employees in Pilger, NE, continued to deliver the mail last week after two tornadoes tore through the small farming community. On June 16, the tornadoes damaged or destroyed three-quarters of the town’s buildings, including the Pilger Post Office. One employee’s house was significantly damaged. 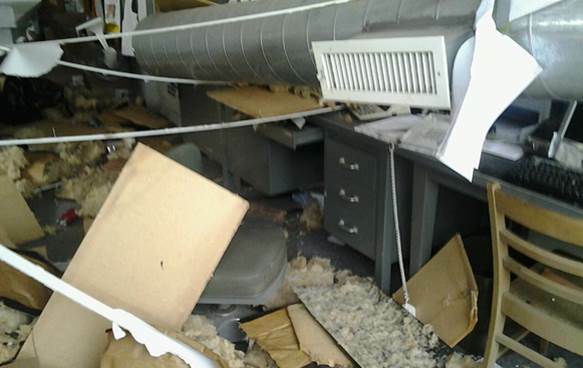 Two employees were inside the Post Office when the tornadoes hit but escaped without injury. After the storms dissipated, Norfolk, NE, Postmaster Joe Kittelson and Norfolk, NE, Rural Carrier Darcy Kleinschmit drove to the Pilger Post Office, sorted through the debris, recovered all of the mail and secured it until Postal Inspectors arrived from Omaha, NE. “While our postal employees work to continue to connect the mail with area residents, our thoughts and prayers are with members of our community who have been impacted by the devastating tornadoes,” said Manager of Post Office Operations Dawn Bayer. Postal operations in Pilger, located in northeast Nebraska, were moved to the nearby Wisner Post Office. “I was touched by the dedication and determination of the employees who, after suffering through such a frightening ordeal, remained at the Post Office and volunteered to assist in the recovery efforts,” said Omaha, NE, Postal Inspection Service Team Leader Tom Harding. David Herout, a retired postal employee, was one of two people who died during the storm, along with a 5-year-old girl. Eagle Scout Parker Stoops with the fruit of his hard work. On May 15th, 2014, Parker Stoops, age 16, passed the Eagle board of review making him an Eagle Scout. The project that helped Stoops earn this achievement – building and installing a new sign for the Stilwell, KS, Post Office. Stoops approached then Officer in Charge Sam Malekyar and asked for permission to work on a project that would provide the Post Office with a new sign in front of the building. The current sign was made of wood and its age was starting to show. Upkeep on the old sign was made difficult by its condition. After consulting with her manager, Sam gave approval to Stoops to work on the project. Stoops raised money and received donations for his project. He carefully crafted detailed plans, designed the sign, constructed it, and in April 2014, led a group of 7 boy scouts (accompanied by their parents) to remove the old sign and installed the new one. The new sign is made of PVC and the letters on it are engraved into the material. It’s also easy to maintain and will help keep the front of the Post Office an attractive area for years to come. As an additional measure, Stoops decided to plant flowers at the base of the sign. 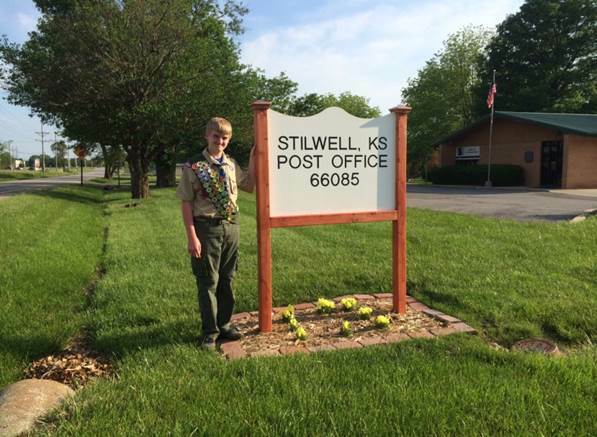 For their hard work, Stoops and the other scouts were treated to pizza purchased personally by local management at the Stilwell, KS, Post Office. Postmaster Relief Cheryl Jiles spent five months operating out of her COOP location after floodwaters swamped the town of Drake, CO. The Post Office had two feet of water running through the building, impacting mail for more than 400 people. New electrical, plumbing, flooring and furniture were among the repairs required. People from the community brought cookies, cakes, and plenty of smiles to the reopening.